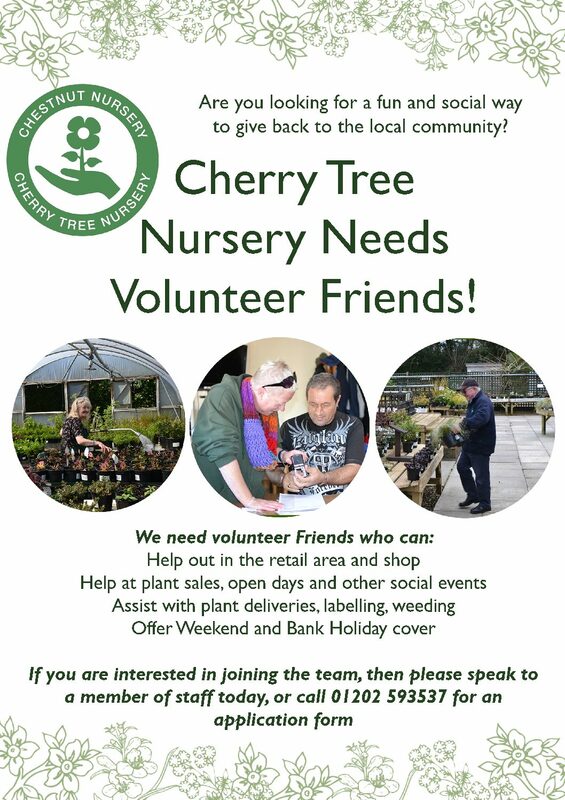 We are looking for enthusiastic people to help in the shop and retail area of our plant nursery. You do not need to have any previous experience, a willingness to learn is more important. You will be using the till, handling cash and helping customers, You may also be restocking the retail area with plants and creating plant displays. To apply to be a friend please contact us for an application form : By email – Cherry201342@yahoo.co.uk or Phone 01202 593537.